Do what you do best instead of being bogged down by the details! When I interviewed candidates to help manage client work, Sherri stood out above the rest. Sherri has proved to be an asset to our business in her experience, professionalism, and promptness. Sherri is my go-to for all things systems-related. She’s great at leveraging systems and programs to produce results that make a positive impact on our bottom line. Every day it’s a pleasure to work with Sherri. She’s honest, dependable, trustworthy and she pays attention to detail and always produces high-quality work that allows me to concentrate on my business. I would highly recommend working with Sherri. Fast, efficient, reliable, dependable, energetic, positive… these are just a few of the many positive qualities I’ve experienced. By taking over my blogging calendar, newsletter creation, and overwhelming social media tasks, Sherri Stotler of iAssist Virtually has been a joy to work with. She knows me so well, she can anticipate my needs and/or the next step in a project. Having a pro take over these tasks (and more) has freed up my time to work on growing The Bean Counters Bookkeeping instead of being distracted by all of the little things that need to be done. I’ve been working with Sherri since 2015. She assisted me with two separate companies and was attentive at setting up a little bit of everything from a WordPress site to a video course, data entry, email templates, and proofreading. Knowing that these things are in honest, capable hands, I don’t have to be involved in the details. She’s reliable, always excited to learn new things, and loves a challenge. 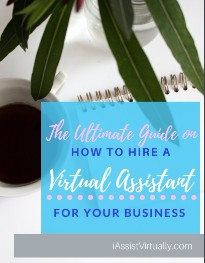 I would recommend iAssist Virtually to entrepreneurs and busy executives who don’t have the time or desire to handle the administrative aspect of their business. Founder, The Clear Advantage, Inc.
Sherri helped me manage several multi-unit complexes from a different state. From coordinating maintenance crews to keeping track of tenants’ rent payments and paperwork, she was ready to jump in and help. She saw where there were bottlenecks and suggested implementing a new system for keeping track of properties and all that goes with that. Not only did she set it up, but made sure the tech to keep it running smoothly was implemented quickly. I was pleased that everything was handled promptly and that my expectations were exceeded especially when dealing with unexpected issues that are inevitable with several properties. 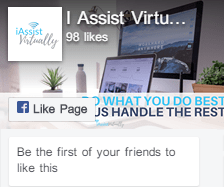 I highly recommend iAssist Virtually for any business owner who wants a fresh look at how things could be running more efficiently and need someone they can trust to pull that off. See For Yourself. Let's Work Together!